Catering Descaler is for use on all catering equipment including kettles, boilers and stainless steel, dissolving limescale in minutes. 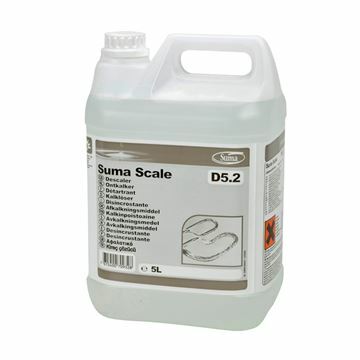 Limescale leads to damage, use this product regulary to maintain and prolong the life of catering equipment. For descaling of metal and plastic appliances. Fast acting and non toxic. Removes limescale, dirt and stains. Acidic cleaner for the removal of limescale. Brightens dull metal surfaces by removing oxide film. Safer in use due to non-corrosive formulation.